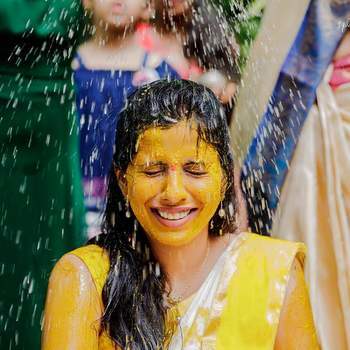 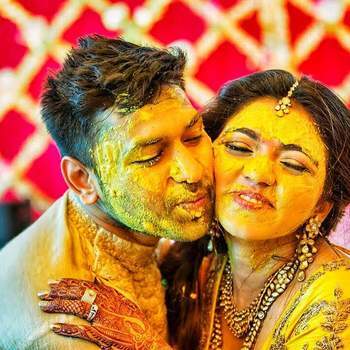 Haldi ceremony! 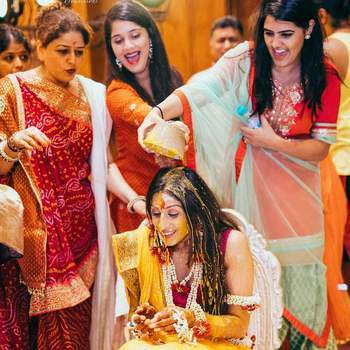 The only ceremony where you don’t need to fret about your trousseau getting spoiled. 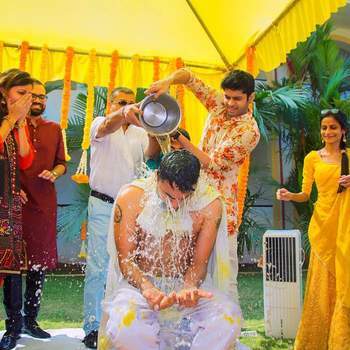 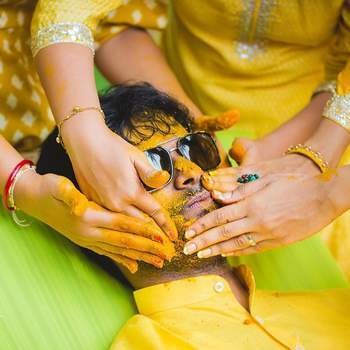 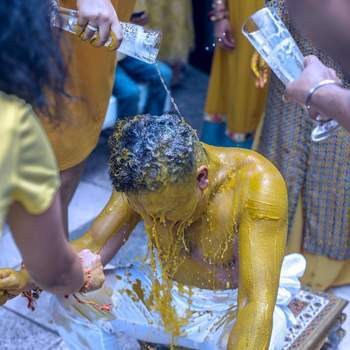 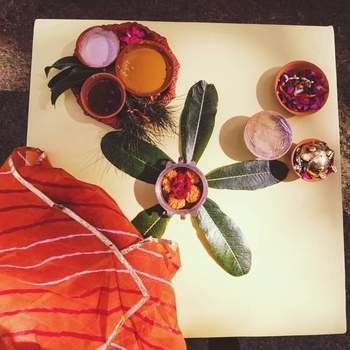 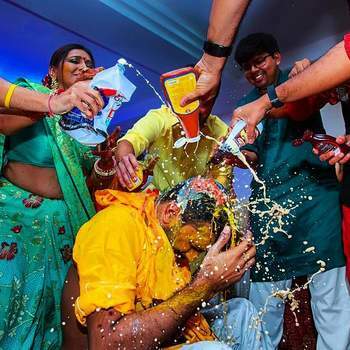 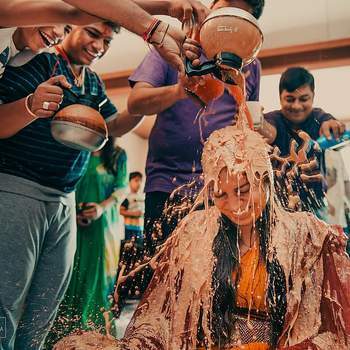 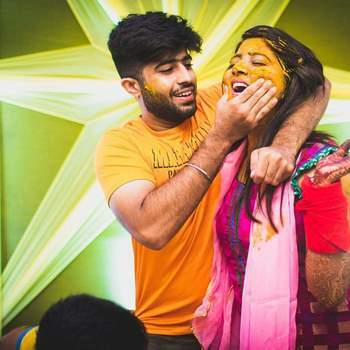 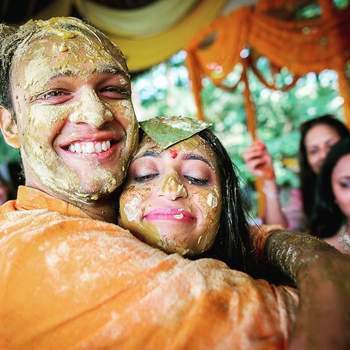 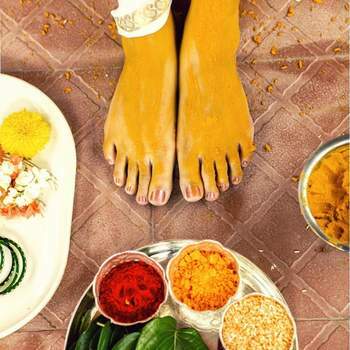 The simple ceremony to ward off the evil tuns into a carnival everytime–The entourage of high-spirited people around you looking for a chance to plaster your face with Haldi, friends looking for ways to push you in the pool, your family splashing water buckets. 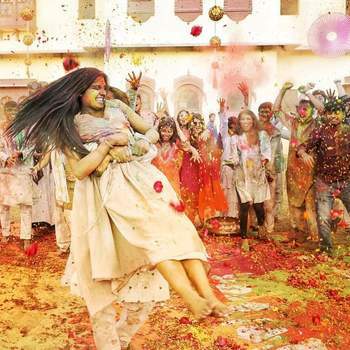 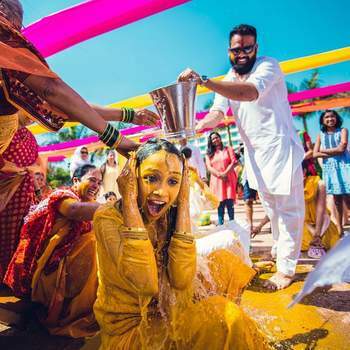 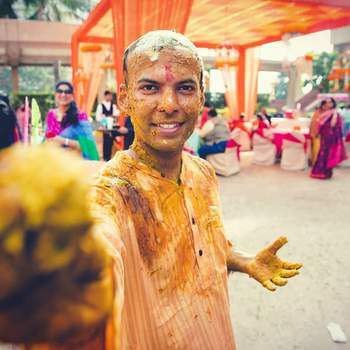 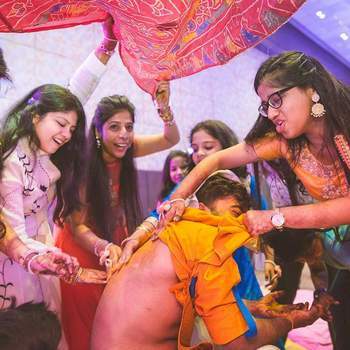 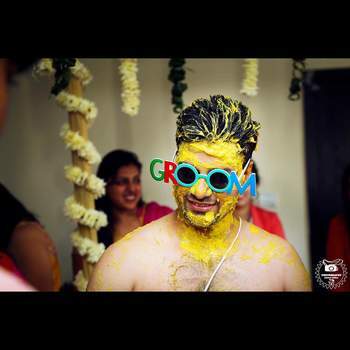 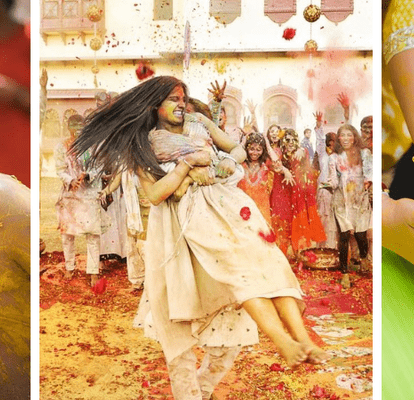 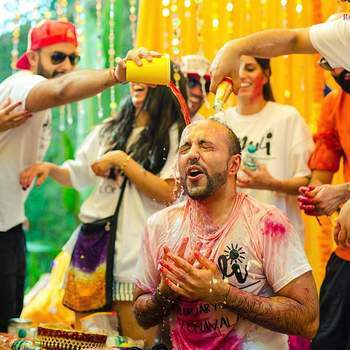 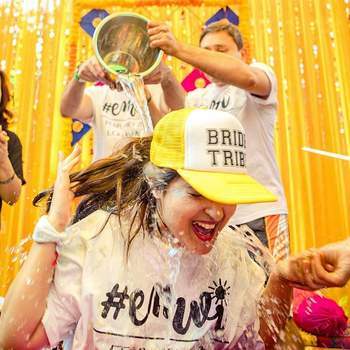 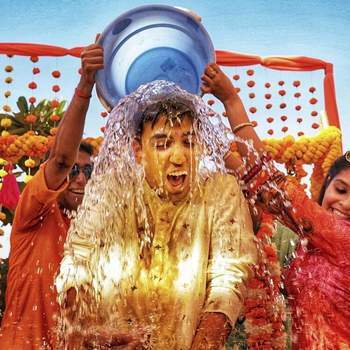 From grooms getting their shirts ripped to brides getting drenched in chocolate+haldi water, we have included the most thrilling Haldi snaps for your wedding inspiration. 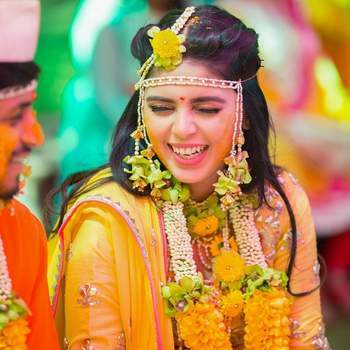 Don’t forget to ask your photographer to capture these candid moments.